One of the suggestions that the guys came up with to be able to engage a younger audience was to advertise our "Grow With Us" secured note to movie goers during a movie that teenagers would attend. With the help from our friend Gavin at Nashish Marketing & Design we were able to come up with a fun ad that will be shown during the running of the movie Shazam! which is currently screening at the Regent Multiplex in Ballarat. Thanks to Stewart from the Regent Multiplex for looking after us and giving us the opportunity to place the ad during the run of this movie. 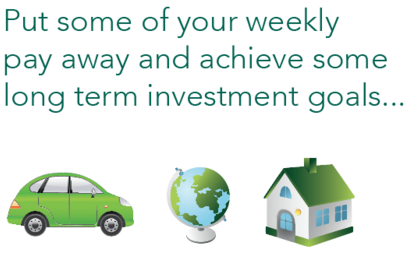 We hope you enjoy our video that talks about our "Grow With Us" Secured Note and the benefits you or someone you know might receive from opening this type of investment. 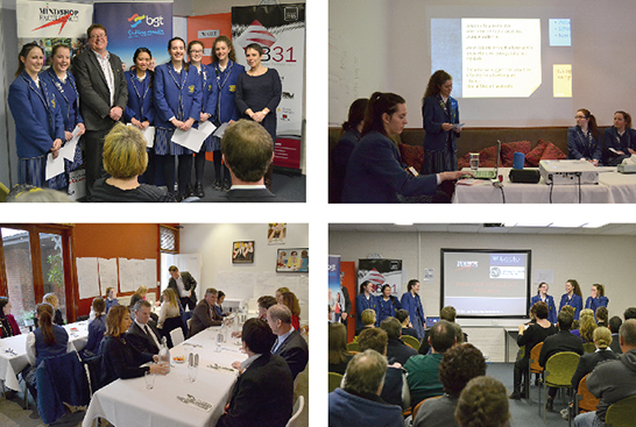 Last week here at CVI we were extremely privileged to host six year 10 students from Ballarat High School as part of the 2018 Mindshop Excellence Program. 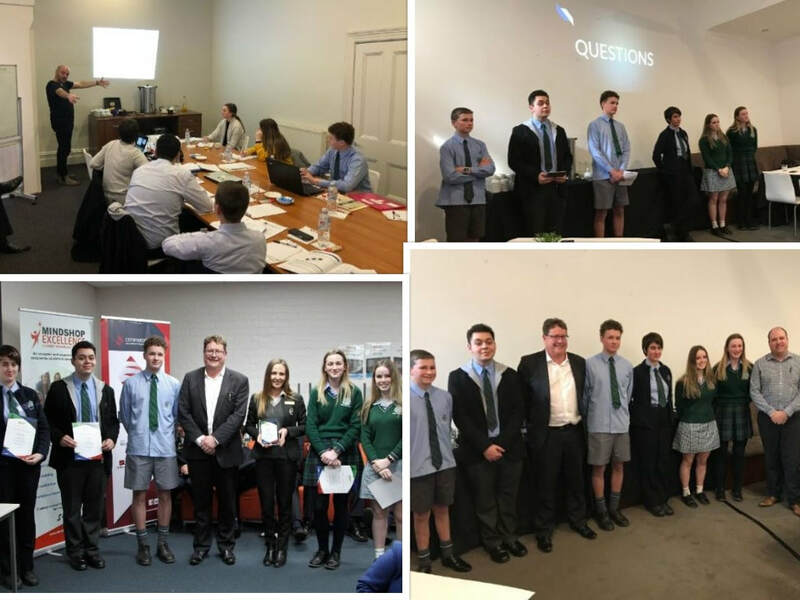 This program is run in conjunction with Commerce Ballarat where students from varying schools spend a week in a workplace and given a 'real life' situation or scenario and they spend the week researching and developing a solution to the situation. The 6 students we hosted were extremely keen to get in and research the given topic, and provide us with some feedback regarding the topic. We are absolutely committed to taking all of their ideas on board and looking at all solutions generated. The teamwork they showed throughout the week was first class, and the students represented themselves, their families and their school with great pride and they should be proud of the way they conducted themselves over the week. They then had to present their findings at the conclusion of the week to us, their families and representatives from their school, and showed a maturity well beyond their years when making this presentation. Again, to Summah, Arlee, Jake, Liam, Trillian & Charlie, a massive thank you from all of us here at CVI and well done on your week! Thank you to Peter Veal, Chris Noonan, Gavin Nash, Jordan McPhan, John Fitzgibbon & Julie Mason for your contributions and facilitating through the week, as well as 'The Ansonia' for allowing us access to their meeting rooms and facilities and Country Casseroles for catering the Friday lunch. We hope the kids got as much out of it as we did, and look forward to being part of this great workshop program again in the future. A huge congratulations to Sally Capp, who over the weekend was elected Melbourne's new Lord Mayor. Sally is the first female-elected Lord Mayor of Melbourne. Re recently had the pleasure of hosting Sally at a local sponsors developers lunch in Ballarat, where she was fantastic to listen to, she was passionate and engaging. A huge congrats again to Sally from all of us here at Central Victorian Investments! Peter Bain, one of CVI’s board members has a long association with The Geelong Try Boys. Through this connection CVI became aware of an opportunity to help support the community. The Geelong Try Boys stadium has had various of roof leaks over the basketball courts, some of which have been ongoing since roof originally installed. 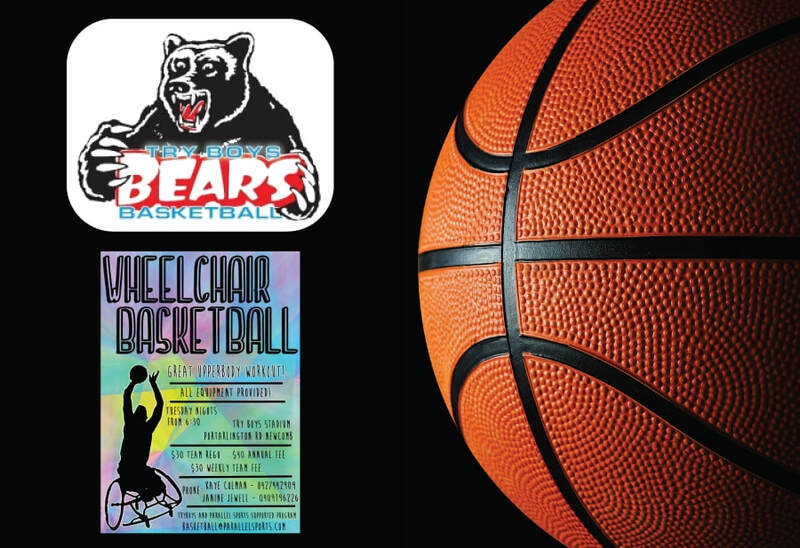 The Geelong Try Boys caters for men and women, junior boys and girls of all abilities including wheelchair basketball. They pride themselves on our junior program with a focus on development, good sportsmanship and creating an environment for kids to have fun. CVI has been involved in making a donation to the Geelong Try Boy to be used towards the work needed to fix and upgrade our roof. Geelong Try Boy have reported that after the kind donation from CVI they are now able to continue our roof program to fix the issues and have ongoing maintenance done. 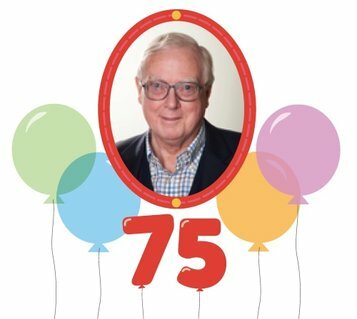 A big Happy Birthday to director Peter Bain who turned 75 recently. Three quarters of a century is a great achievement in anyone's language and his dedication to CVI at board level has never wained. Happy Birthday Peter and may there be many more to come. Sunday 15th May saw CVI sponsor the Volunteers Gala Evening held by the Royal South Street Society at the Ballarat Mechanics Institute Building (Minerva Room). This night was held as a thank you to all the volunteers who make South Street a huge success year on year. Good food, good wine and good entertainment is how the night is best described with performances by Ballarat National Theatre and Michael Griffiths presenting his show ‘Cole’. 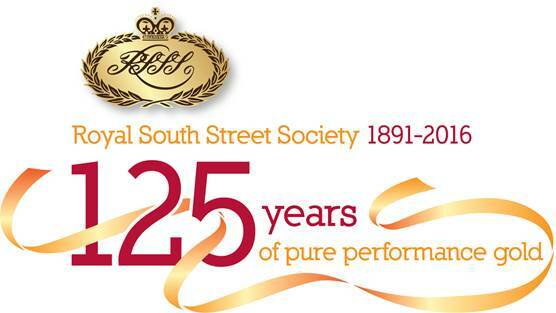 CVI was happy to be involved with South Street’s 125 year anniversary by helping thank the volunteers who make the whole competition tick. CVI colleague Peter O’Connell from PPT recently joined friends on a special drive around Victoria to raise much needed money and to help raise awareness of Motor Neurone Disease (MND). CVI were happy to contribute to this important inaugural event. See below a summary from Peter and his crew. “Just a final note to thank you all for your donations. The Stumblebums exceeded our target and hit a total of $15,920. You may have seen the media reports indicating that the total raised by the inaugural Daniher’s Drive was in excess of $1m. The organisers tell us it’s going to be above $1.1m by the time they finalise the count later this week - a great result. It’s also really positive that this money will be applied to global leading research work by the Cure for MND Foundation lead by Dr Ian Davis. Ian explained during the Drive the links that the Foundation is making with other leading research bodies around the world to ensure these skinny resources are applied efficiently and with the best chances of making a difference. As Neale explained, he and Ian are dedicating themselves to raising funds so that there’s a greater chance future generations won’t have to suffer what each of them is experiencing. So they are keen to make sure it is well spent. This Year CVI will close on Wednesday the 23rd of December at 12:00pm. We will re-open on Tuesday 29th, Wednesday 30th, and Thursday 31st of December from 10:00am till 4.00pm. We will open for normal hours from Monday the 4th of January 2016 at 8:30am. Mark Dellavedova operates a land development company in Maryborough called Inland Projects. Inland Projects has completed many subdivions over the past decade in and around Maryborough including the old 404 public school site in the CBD which is now selling as Callista Gardens. Whirrakee is another of Inland Projects developments and is of a much larger scale, taking in various stages which have and will produce 162 lots near the Maryborough golf course. CLICK HERE to watch the 2 minute video of Mark and his business - a really interesting video which captures some of the work CVI does with our varied client base. ​Recently, all the major banks have announced increases to their variable loan rates. In some cases this has happened in addition to increases to their investment loans. At CVI’s board meeting last week, we have decided to leave our rates unchanged. 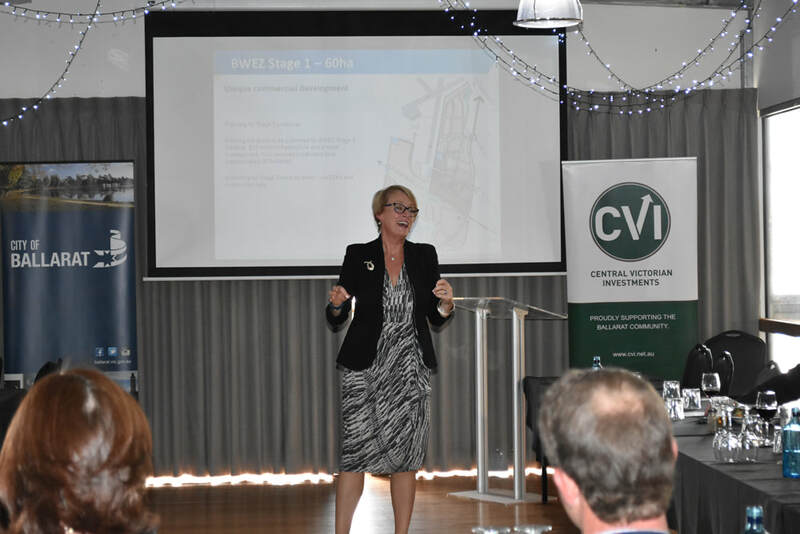 Whilst we acknowledge the need for CVI continue to raise our capital, our board has decided to manage this process internally rather than pass the burden of this onto our borrowers. ​The Mindshop Excellence program has had a 20 year history in the Ballarat business community. It gives a group of Year 10 students an opportunity to work on a project with a local business and present outcomes at the end of the week. CVI had the pleasure of hosting 6 energetic girls from Loreto College in August for a week and we gave them a project brief from which to work. We were very impressed with the girls, their professionalism, their commitment to the tasks we have given them and their presentation on the Friday was first class. A lunch was organised which was attended by the girls, their parents, CVI staff, Loreto teaching staff and some CVI clients with close connections to Loreto College. The program was featured on WinTV and in The Courier so the girls were excited to see themselves and their work in the wider community. 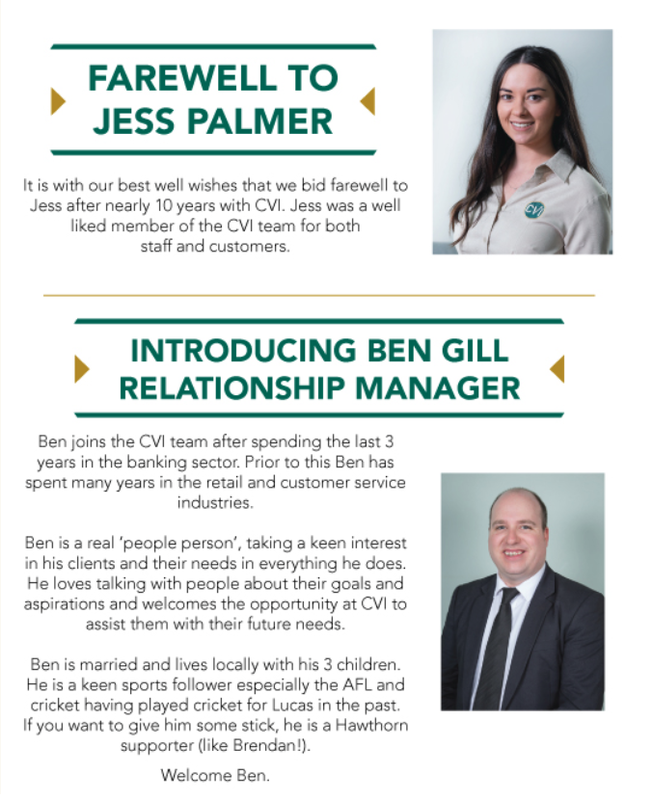 The girls are also excited to see that some direct changes may happen at CVI due to their youthful insight into investment, especially marketing the advantages of investing at a younger age to our current customers and their direct families.